Posted November 21, 2018 by Andrea Laford & filed under News. 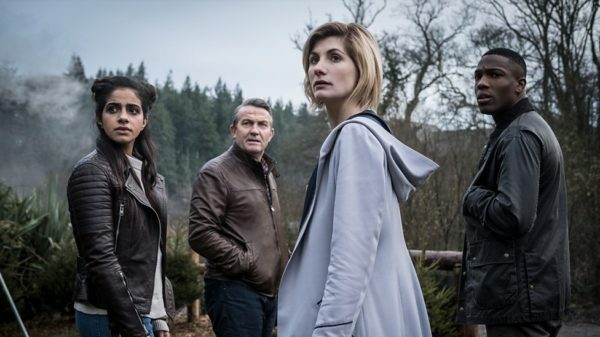 A pattern has emerged from the seven episodes Doctor Who series 11 that have aired so far and it looks as if the pattern will likely continue. The threat of any given episode is not entirely what it seems. 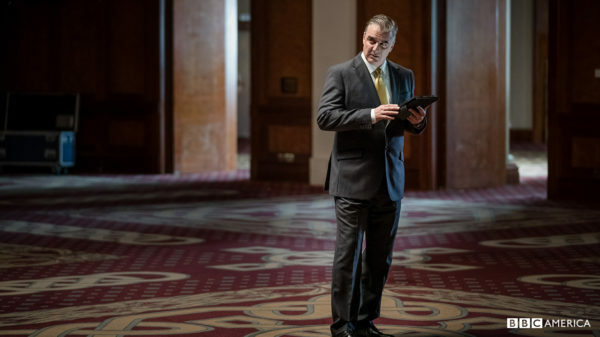 With few exceptions, the real threat in each Series 11 episode seems to be worst of human impulses rather than an actual monster or villain. Tzim Sha, a Stenza Warrior, is a genuine alien threat with an all-too-human lust for power and a penchant for cheating to obtain that power. 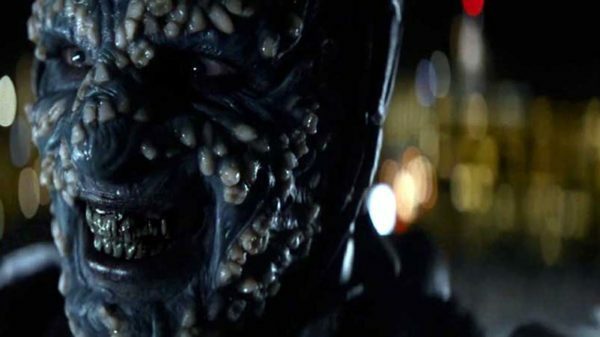 The Doctor gives him a human moniker, Tim Shaw as well. The real threat was not the more inhuman Gathering Coils but a humanoid hunter of blood sport. It’s possible that Stenza Warriors are just another of the the bioengineered, weaponized creatures created by the Stenza. The real villain of this episode is racism. The thirst for power and greed are the villains, not the giant spiders, who are victims of corporate malfeasance. Potential villain: selfishness. No true villains here, just a cute but voracious interloper. 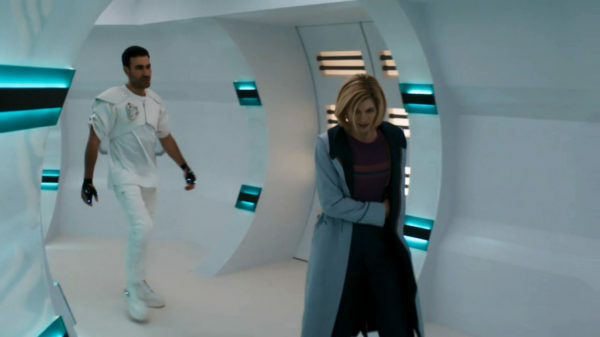 The Doctor, yes, the Doctor came closest to being the villain in this episode when she insisted on the recovery of her TARDIS in disregard of the needs of her fellow passengers. This became an all-hero episode once the Tsuranga passengers cooperate to secure their own deliverance. 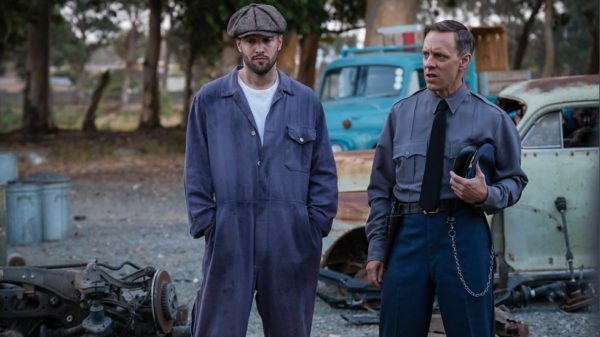 In what is the most disappointing twist since the pitiable spiders in Arachnids in the UK, the demons, the Thijarians, turn out to be reformed assassins. The real villains in this episode are violent religious intolerance and the colonialism which precipitated it. Creepy killer robots? Technology? Nope. 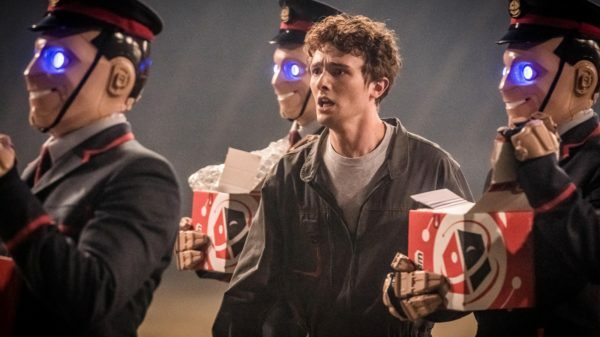 Charlie, a would-be terrorist and anyone who would use technology for exploitation or mayhem are the villains. In addition to the Morax, the first truly villainous alien monster since the Stenza, the villains of this piece are also paranoia and superstition as seen in Becka Savage and, initially, King James I. There was a sinister monster in this episode named Ribbons of the Seven Stomachs. There were also dangerous carnivorous moths. But the main threat was the conscious universe know as the Solitract, which took advantage of the other character’s longing for lost loves to satisfy its own longing to know the universe from which it was exiled. It was not ultimately malevolent, choosing in the end to release them from its trap. Chris Chibnall’s big tease in a Doctor Who magazine interview about the Doctor and her friends being emotionally tested was only true of Graham. 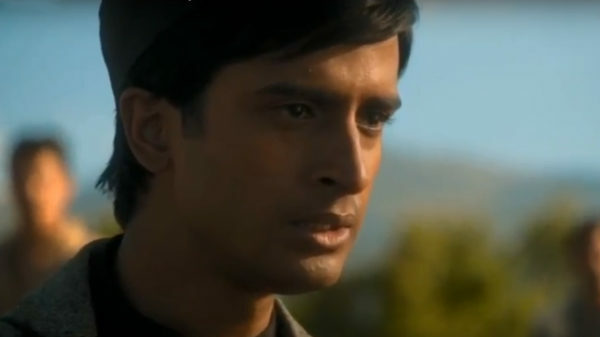 Tzim Sha was once again the villain in this episode and Graham’s dilemma was whether to exact revenge for Grace’s death. Unfortunately, The Battle of Ranskoor Av Kolos did not reach the epic heights of past series finales. It didn’t even seem to aim high. It was just another Series 11 episode. 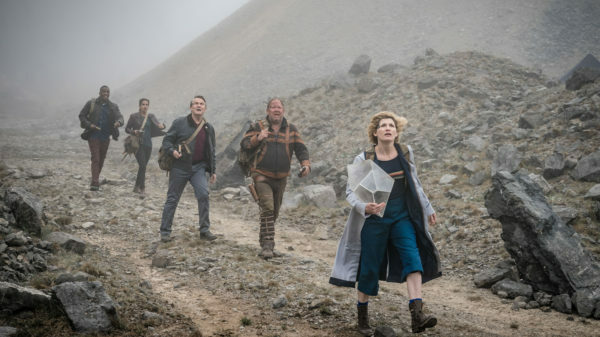 So Series 11 is a mixed bag of both human villains and alien monsters. 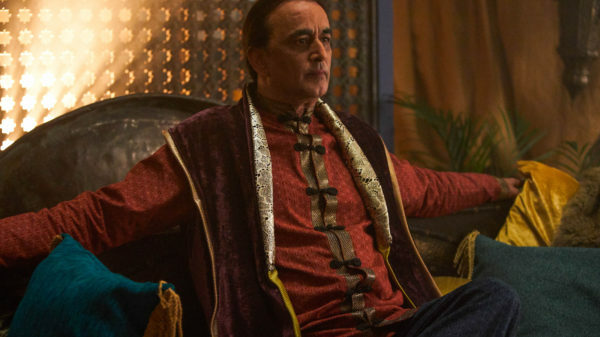 Do we really crave cowering behind the sofa should any of these new Series 11 villains and monsters return? I think not. I’m happy to see the back of them. 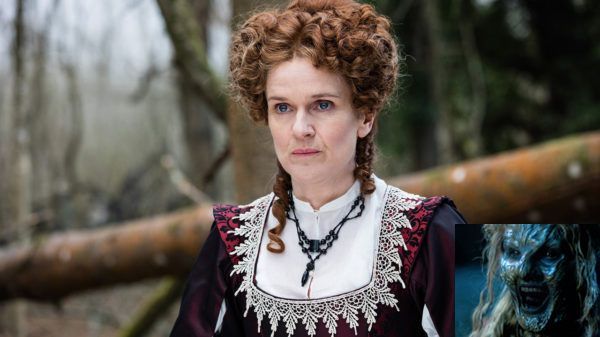 Is emphasizing the pitfalls of the worst of human impulses the right tactic for Doctor Who? It’s a commendable approach but viewers mainly watch Doctor Who for entertainment, not to be preached to. Doctor Who has a long history of being on the forefront of social change but it works best when the issues service the story, not when the stories service the issues. Certainly the monsters can be allegorical to human transgressions and viewers will still “get” it. Bring on the scary monsters that are truly worthy of the Doctor and that won’t disappoint! The Doctor is the protector of humanity, not its Sunday school teacher.